Abbe Raven, chairman emeritus and former CEO of A+E Networks; excerpted from an interview with the National Museum of American History, April 27, 2017. I grew up in Queens in a lower-middle-class family, which exposed us to New York City culture. Because of finances, I probably didn’t have as much opportunity as others, but I was a real fan of “going into the city,” as we called it, and seeing what I could see. At age 11, I had the opportunity to take ballet lessons in the Carnegie Hall studios, which was sort of romantic and exciting. Later, as I became more intrigued with theater, I would stand in line and get student tickets to whatever play I could see. I sat in the last row of the balcony or the standing-room-only area for lots of memorable theater experiences. Later as a teenager, a sort of hippie young woman, I experienced a lot of music at the Fillmore East or at jazz clubs in the Village. New York City culture was a part of my life and it definitely influenced me. Growing up in a very well-integrated urban neighborhood, during those times, shaped how I saw the world and shaped who I am. 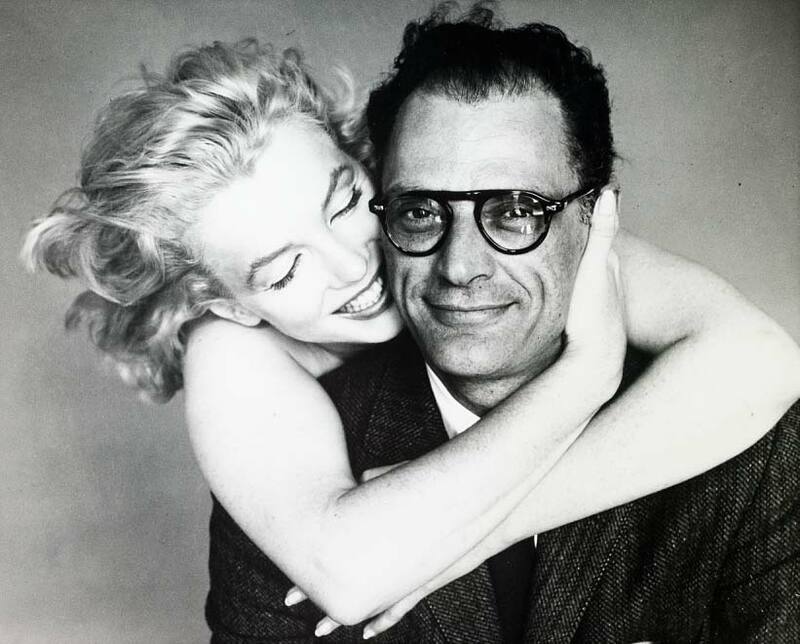 Two American classics, playwright Arthur Miller of Death of a Salesman and The Crucible and film star Marilyn Monroe, married at the time, were photographed by Richard Avedon in 1957. And that’s what I did. My parents thought I was crazy. We knew nobody in show business, and they didn’t really know what I was talking about, but I wrote letters to all the summer theaters on the East Coast, and I received a couple responses back. Some of them required a fee to be an apprentice, and we certainly couldn’t afford that. Then a theater that still exists today, the John Drew Theater in East Hampton, Long Island, called and gave me an interview with the production manager; and he accepted me as an apprentice. I talked my parents into letting me go alone to live out on the Island, where I knew no one, and started working as an apprentice. I got the theater bug and that was it. I decided that’s what I would study in college. 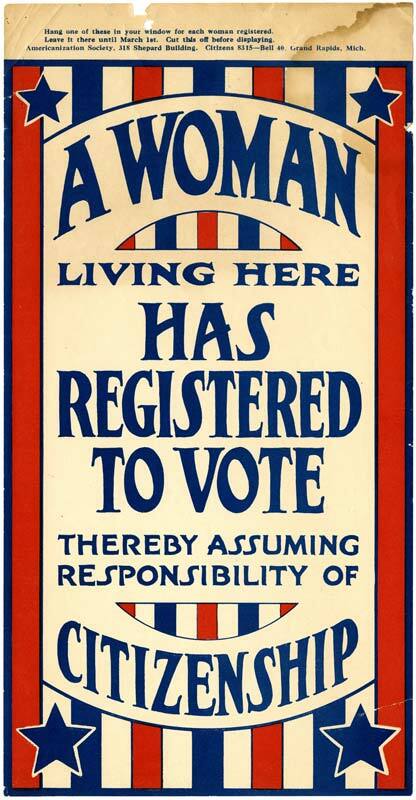 This poster from about 1920 was designed to be hung in a home to indicate that a woman had exercised her right to vote and help shape local and national decision-making. My mother was born in Chinatown and grew up in Brooklyn. Her family had been an economically stable family until the depression and had a history of being philanthropic. Her grandfather started the Hebrew Free Burial Society, which still exists today on Staten Island. My mom had to drop out of college after her first year because of economics, but both of my parents believed strongly in education. My mother was very involved in New York City grassroots politics. She worked in civil rights and advocated for integration in New York City. She did things like chain herself to the gates of the governor’s home, at one point. She was a very spunky woman whom I adored. She was really the person who said to me, “You can be whatever you want to be.” She always felt robbed of an education, and the year I went to college, she went back to college too. She graduated the same week I did, at the age of 55, and I went to her graduation rather than mine. My father was born in Brooklyn and came from immigrant parents from Russia. My grandfather worked as a tailor. As immigrants, they had a hard time finding their place in the world, so my father was forced to drop out of high school at the age of 15 to support his family. He served in the infantry in World War II as an Army gunner and saw a lot of action. He went from North Africa, up the deadly boot in Italy, into France and Germany, and saw some terrible devastation. He was there at the uncovering of one of the concentration camps. He was very much affected by his war experience and was very involved in veteran groups and proud of his service. 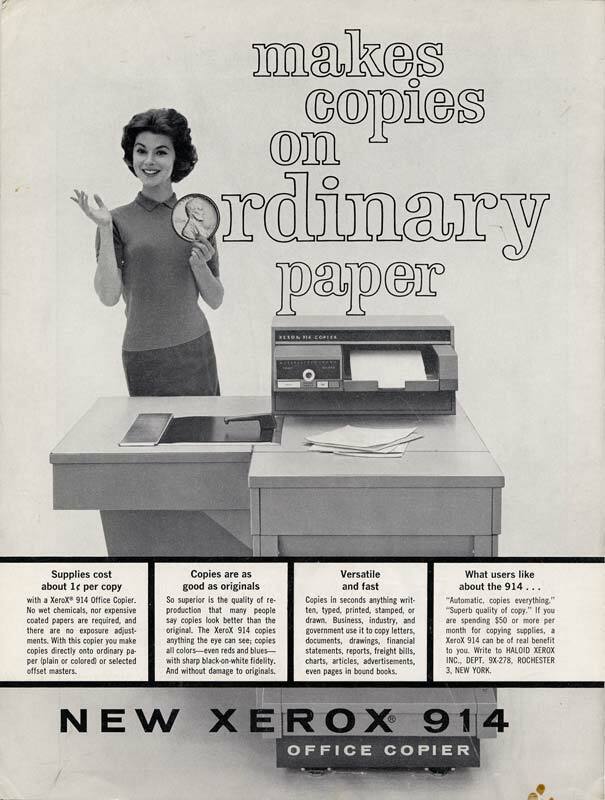 In a pre-digital business world, copy machines facilitated the speed and distribution of information. So, I literally stalked that guy. I called him a million times a day. Finally, he answered the phone and said, “I don’t have anything for you. You have no experience.” I begged him to meet me and he said, “Okay, can you come in tomorrow?” He said he had been interviewing people from all parts of broadcast television that want to get into cable, and he said, “Sorry,” and dismissed me. I was walking out of his office and I said, “I’ll do anything. I’m really good.” He paused and said, “Do you really mean anything? Do you see these scripts that are piled up here? My secretary is going in the hospital tomorrow. I need these Xeroxed.” And I said “I’m in!” And that was it. I went in the next day. I was really good at Xeroxing, and I eventually became his assistant, and about two years later I got his job. I always felt that I needed to be the best CEO, the best leader I could be, and not necessarily focus on being a woman — even though I was, without question, a minority in the market. For me leadership is about teamwork; it’s about how you lead your team, being a real team player. My theater experience, without question, influenced me in that regard. And so, it’s about trusting your team, giving them the opportunity to swing big and take risks and create an environment where you can be as creative as possible. Being a CEO is not a sprint, it is a marathon every day. Every day there are new issues, and you never know what you’re going to face. I learned from a great leader. My predecessor, Nick Davatzes, was a fantastic chief executive who very much believed in teamwork, so the position was right in sync with the kind of things I had experienced and knew would help us be successful. Having been part of the cable industry for all these years, it is still shocking that there are not that many women in the C-suite. Cable gave women a lot of chances to grow on the programming side but not as much on the business side. I was a rare pick for CEO because I had the programming side and some business side, but I didn’t grow totally out of the business side. I have shown that the model works, but there’s still a really long way to go. 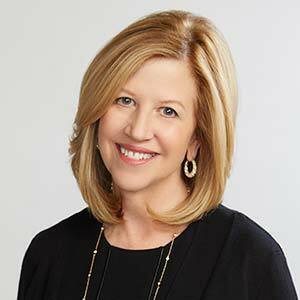 Lifetime, a network devoted to women, made incredible efforts and strides in bringing women to the creative side of the business. While the industry numbers for women behind the camera — writers, directors, show runners, etc. — is in the low teens, at Lifetime it’s almost 60 percent. We have made that paradigm shift, which shows it is possible. I believe you should put the best person in the job, man or woman, but we are not giving women enough opportunities to rise. I was very lucky that I had a mentor that saw my potential, and I had a board of directors that supported the idea of women rising to the top. Abbe Raven in the control room/broadcast center watching the launch of the Arts & Entertainment Network, February 2, 1984, at 8 a.m. 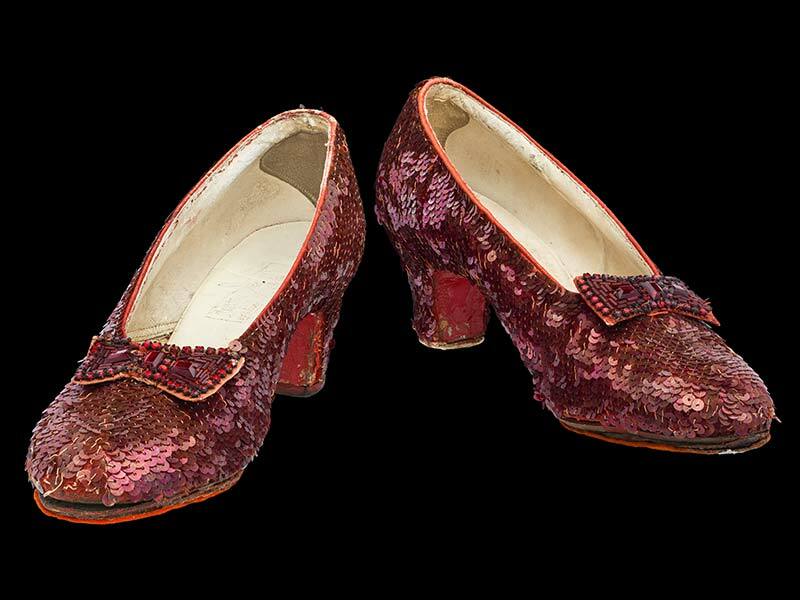 Many Americans have found such meaningfulness in the music and story of The Wizard of Oz that they incorporate it into their life stories. I grew up waiting all year long for The Wizard of Oz to come on television, because it only aired once a year, maybe not even every year. I had a teeny replica of the red shoes hanging off of my keychain for years. I was on a business trip to Kansas and purchased the little red shoes, and they’ve been on my keychain ever since. The words to “Somewhere Over the Rainbow” have been a meaningful part of my life — exemplifying dreaming and the importance of family. They were actually part of the toast I made at my son’s wedding last year, because it has such personal resonance. 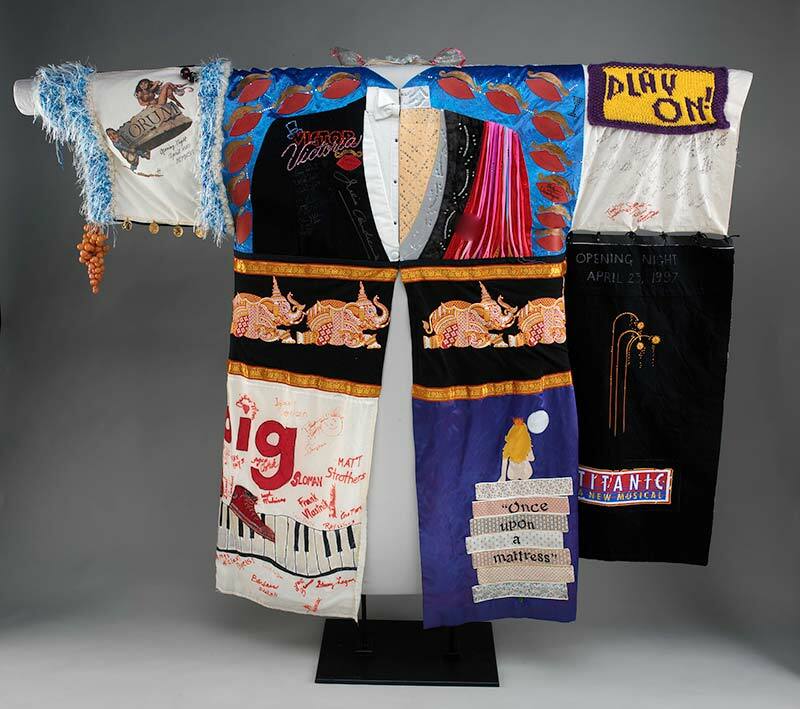 This muslin Gypsy Robe bears designs of musicals produced on Broadway between 1995 and 1997, representing each chorus member who received it. The Gypsy Robe is one of those incredible traditions theater people have created. It is such an emblem of theater superstition, of things that get passed along, like saying “break a leg” or not saying the word “Macbeth” anywhere in the theater. The tradition that I always loved is the stage light. You put the light on a stand on the stage at the end of the night, and that light stays on all night long so the theater stage is never dark. Part of that tradition started as superstition to keep evil spirits out of the theater, but it was always emotional for me as a stage manager to turn that light on as I walked out of the theater to make sure the theater always stayed bright. And it’s still tradition. You go to any theater at night after the show, you will see that. My husband and I actually went backstage last year after seeing Beautiful: The Carole King Musical, and before we left, we had our photo taken next to the light on the darkened stage. We so believe in the power and magic of theater.